Krank (1982-1987, 1995, 2000-present) is a Heavy Metal band from Philadelphia, Pennsylvania, USA. 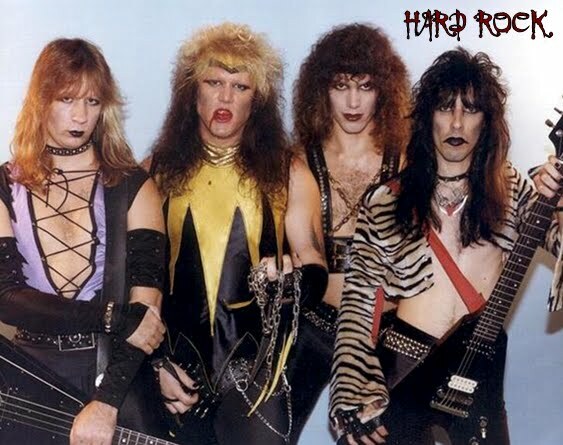 rank was one of the last 'Metal Blade' signings before the label went international. The act was not of the typical 'Metal Blade' style of heavy underground, not necessarily radio friendly fare. Instead they leaned toward anthemic, accessible rock/metal often bordering on glam. Featuring Frank Tyson (vocals), Mike Force (guitars), Kevin Mercer (bass) and Jack Hamer (drums) the act would put out Hideous (1986) before folding a couple of years later. After a brief reformation in 1995, the act would try a more permanent reformation around the turn of the century with the revised membership of J.D. DeMaio and Scott Forte replacing Mike Force and Jack Hamer respectively, to release the independently recorded Ugly Gift (2003) and Ugly Right to the Bone (2010). Footnote: Formation dates for this band are approximate. Do not confuse this band with another from Turkey.